Spend or Save: What's Your Gameplan? 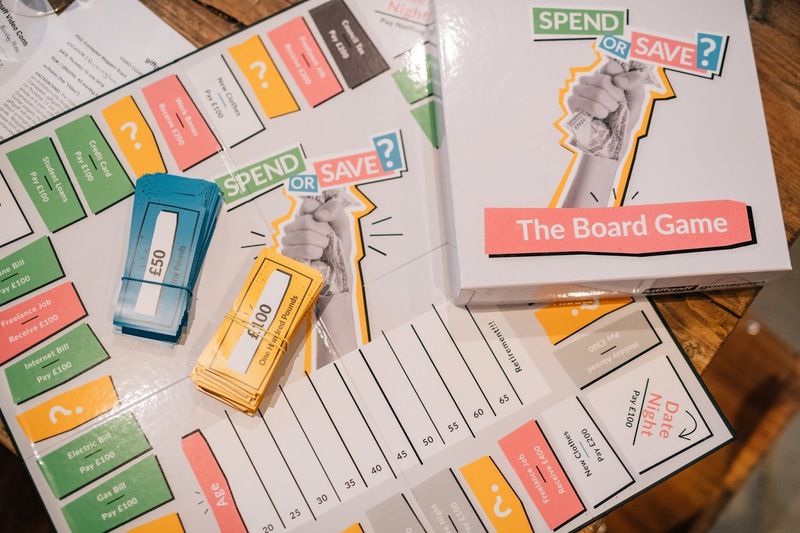 The giffgaff 'Spend or Save' game will be familiar to any fans of Monopoly, but it has a few of its own unique twists. The aim of the game is to save and spend your money wisely - investing in the right things without spending too much on your credit card bill or nights out. All players start off at age 20 with £1,000 in their pockets (great, huh?!). As you take it in turns to roll the dice and make your way around the board, you'll land on squares that enable you to earn money from bonuses or through doing freelance work, but you might also land on spaces that'll make you pay out for things like your student loans. You will also have to draw question mark cards, which can likewise cause you to earn or lose money. The scenarios on these cards were incredibly well put together by the giffgaff team and had us all in stitches! Every time you make it back to the start, you'll age five years but it's not all bad! You'll also collect another £1,000. If you end up landing on a square that requires you to pay out more than you have in your hand, you'll be bankrupt and out of the game. You do have a few tricks up your sleeve to help you on your way though! You can choose to spend money on "life goals" throughout the game. These are expensive but will be good investments. Buying a house will set you back £5,000, for example, but it will pay out £20,000 by the end of the game. The winner is the person with the most money at the end of the game when all players have reached retirement age - simple! 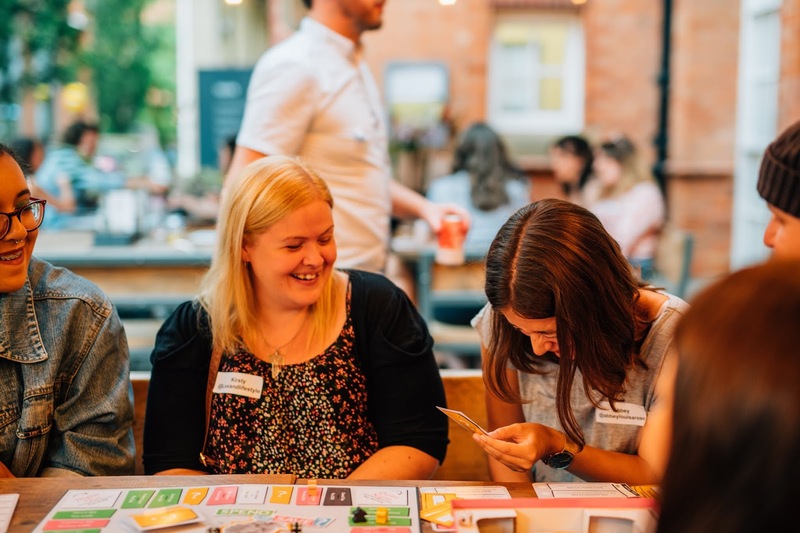 giffgaff also added another competitive element to our games night by offering up a £500 donation to a charity of the overall game winner's choice! Sadly I had to leave to catch my train back to Leicester before the game ended so I gave the money I'd accumulated to the lovely Ellie on my table who had gone bankrupt early on, and she ended up winning which is fantastic! She will be donating the money to Diabetes UK which is an incredibly worthy cause. 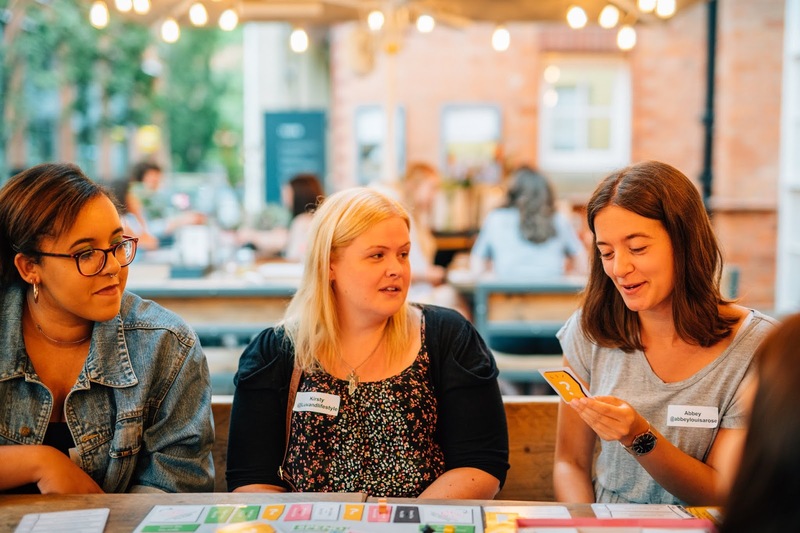 Before we delved into the game, we had the pleasure of meeting Steve and Charlotte from giffgaff who introduced the up and coming Gameplan service, which, as you may have guessed, is all about money. Chances are, the name giffgaff won't be new to you. They're a mobile network run by their customers, inspired by their philosophy of "mutual giving", which is what the word "giffgaff" in ancient Scottish dialect actually means! As a company they're super savvy with their mobile network deals, and they're now translating this into a brand new venture - personal finance. Having your money in order is essential to getting what you want out of life, whether that's travelling the world, funding a masters degree, or starting a family. Your regular banks are the ideal solution for keeping your money safe and secure, but they can fall short when advising you how to really manage your cash, resulting in more than 16m people in the UK having savings of less than £100. Eek. 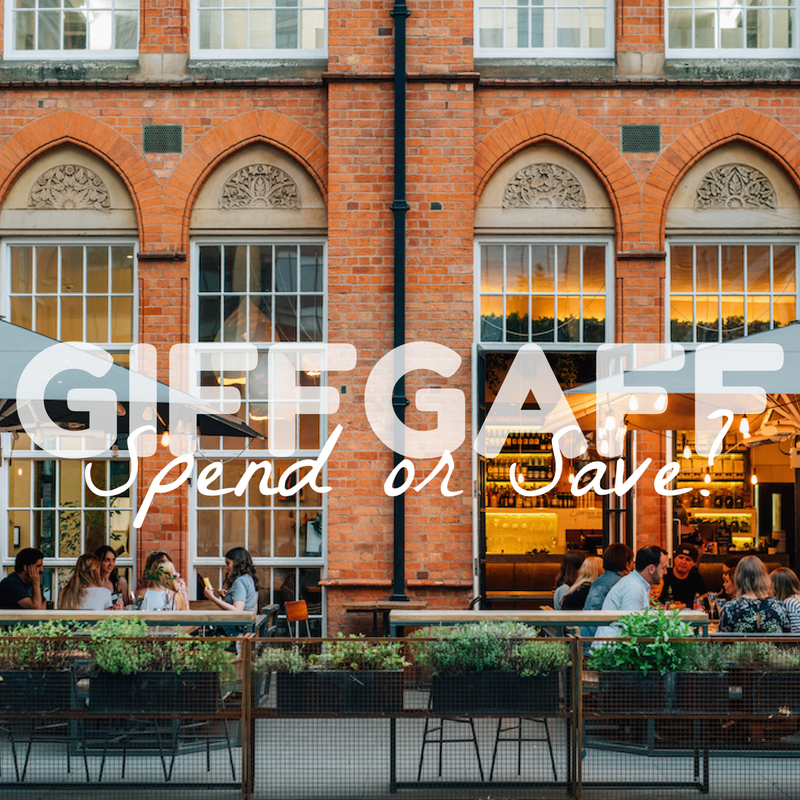 To help out those struggling savers, giffgaff are designing a service with their members to put them in control of their money. 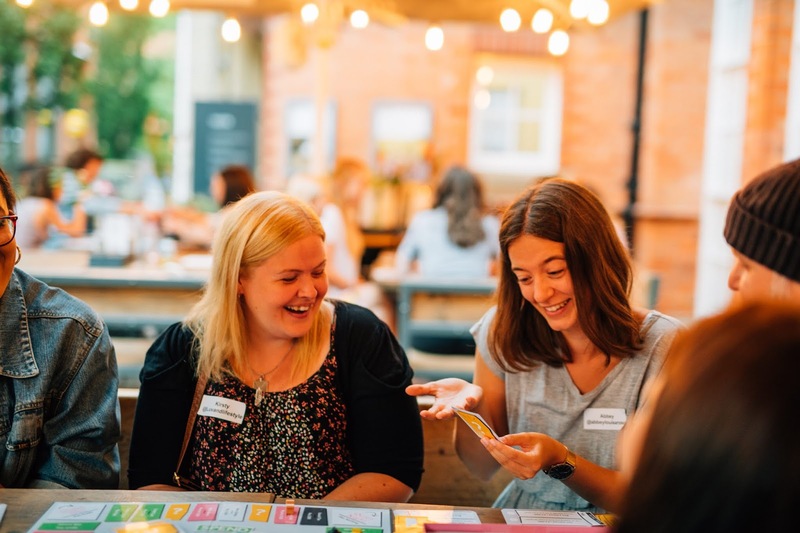 The giffgaff Gameplan will enable members to get savvy by providing smarter insights into their finances, giving them a greater understand of their money and how to build a better credit score. Members will be able to analyse their spending and saving habits through smart insights, which will allow them to make informed choices and improve their financial situation. 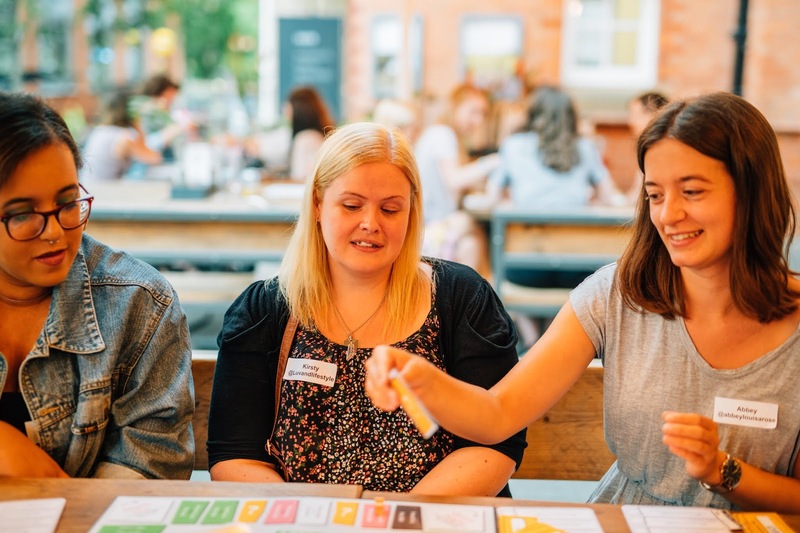 So far, giffgaff have launched a Founders Club for the Gameplan service, allowing people to test out the app and help shape its development. The service will be rolling out fully very soon, but you can join the Founders Club now if you're keen to get started with those savings right away! It was a pleasure to hear about the giffgaff Gameplan service on the night and I'm sure that it'll benefit so many people. 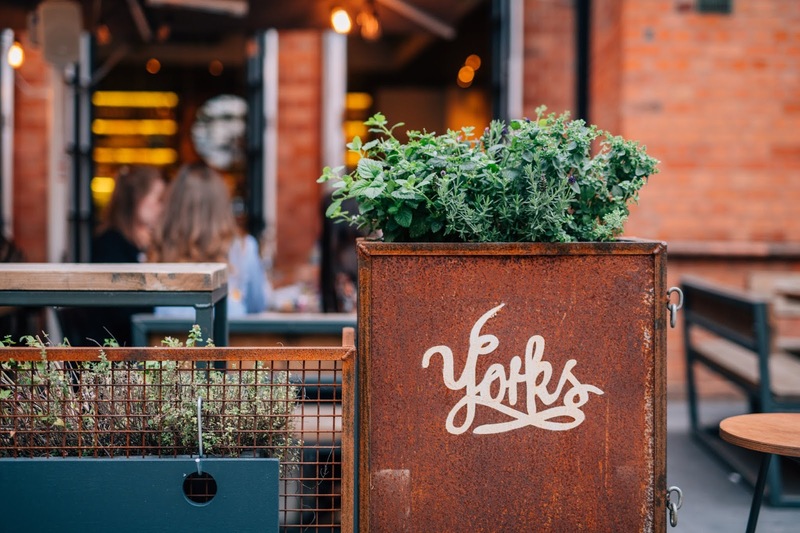 In addition to a fun-filled games night and an intro to giffgaff Gameplan, we were also treated to a delicious buffet at our venue - Yorks Café at the Ikon Gallery, located in Oozells Square, central Birmingham. A huge spread of pizzas, chips, and salads was laid out for us, with veggie and vegan options aplenty, which put a big smile on my face. A particular highlight for me was the delicious lime and spinach cake that we were served after our pizzas - although this may not seem like the most obvious flavour combination, especially in cake form, it was a real delight! I'd definitely go back to the Yorks Café just to sample this cake again! The staff at the café were also lovely and very helpful, the night absolutely flew by. 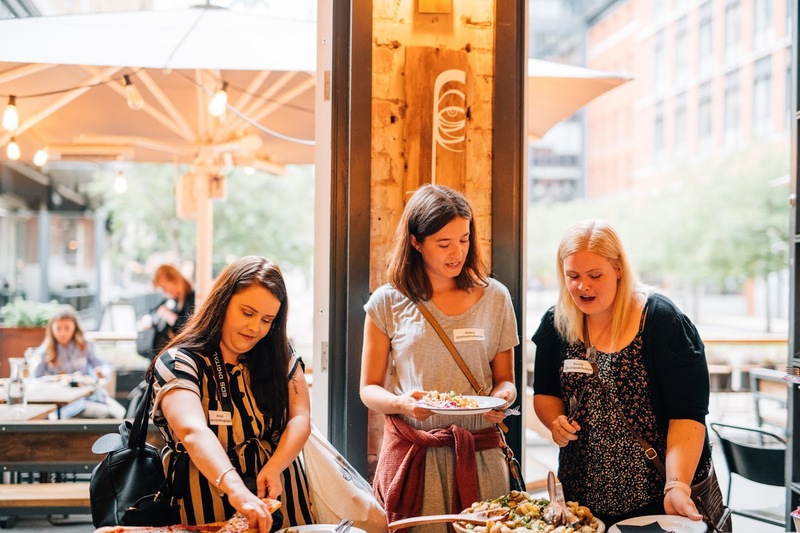 A huge thanks goes out to giffgaff for hosting such a fantastic evening and to the incredible Jennie for coordinating all of the bloggers and being so on-the-ball! What are your top tips for saving success? Do share in the comments below!